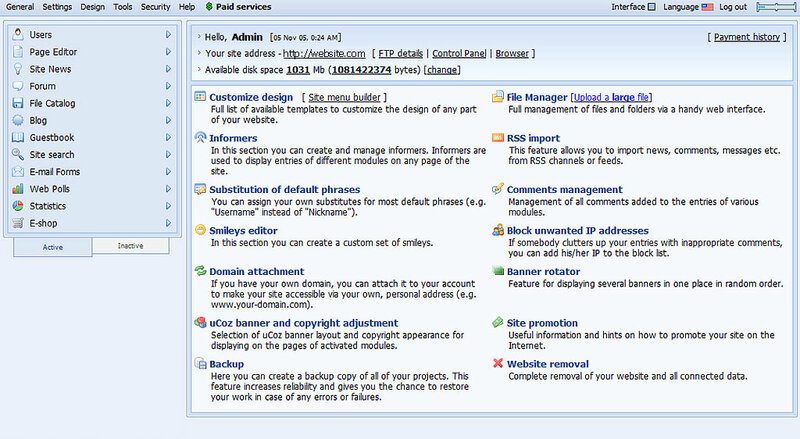 Website management is conducted through the Control Panel. Only website administators have access to it. 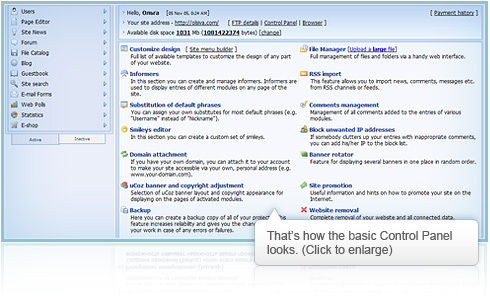 Create your own website and go to the control panel right now!